​Cardiff City owner Vincent Tan has released a statement after Guernsey Police called off the search for the light aircraft carrying Bluebirds' striker Emiliano Sala. 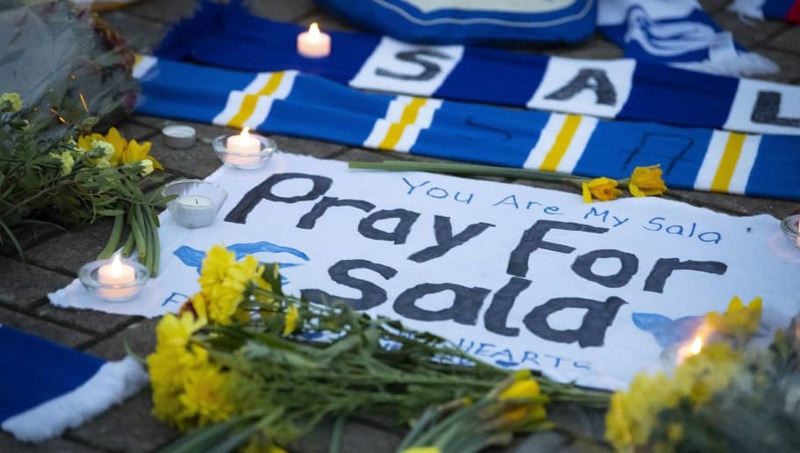 Sala was the only passenger on the plane flown by pilot David Ibbotson when it went off the radar over the English Channel on Monday night. After several days of searching with no success, Guernsey Police ​confirmed that they had ended their search and informed the next of kin, adding that the chances of survival were now 'extremely remote'. "Monday evening’s news shook everyone at Cardiff City FC to the core," said Tan in a statement on ​Cardiff's official website. "We were looking forward to providing Emiliano with the next step in his life and career. "Those who met Emiliano described a good-natured and humble young man who was eager to impress in the Premier League. "The response from the football community has been truly touching and we place on record our sincere thanks to those who have sent messages of support. Tributes have been laid outside the Cardiff City Stadium, and outside the Stade de la Beaujoire, home ground of FC Nantes. Sala had completed a transfer from Nantes to ​Cardiff two days before his disappearance. Fulham manager Claudio Ranieri, who managed Sala at Nantes, said: "He's a fantastic footballer who always gave his best when we worked together in France. "Like everyone else, I was devastated to hear the news this morning that Emiliano was on board the aircraft."